The 948 Bearclaw coating-removal system attachment is a rotating horizontal grinding disc that uses composite cutters for elastomeric and underlayment removal. 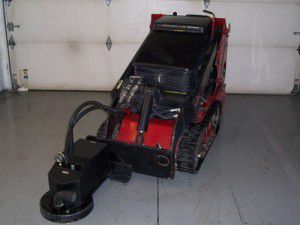 While following the floor contour, the 948 Bearclaw attachment creates minimal damage to existing surface. 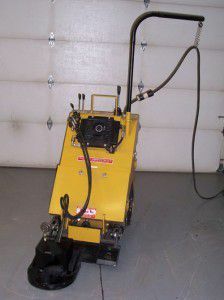 The floor-grinding operations can be performed wet or dry. 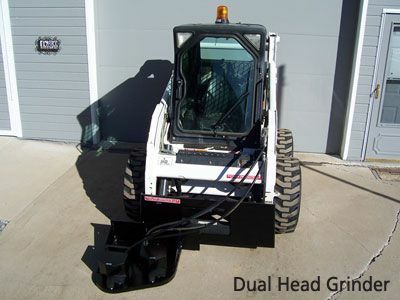 The 948 Bearclaw attachment can be used with a skid steer for the removal of epoxy coatings, elastomeric membrane, concrete underlayment, waterproofing membrane and concrete surface preparation.